So last Dec 3rd, 2017, I went to the KL International Youth Discourse (KLIYD) 2017 at the Putra World Trade Centre, Kuala Lumpur. All I had to do to attend was register online and show up at their registration counter on the event day, and receive their goodie bag. 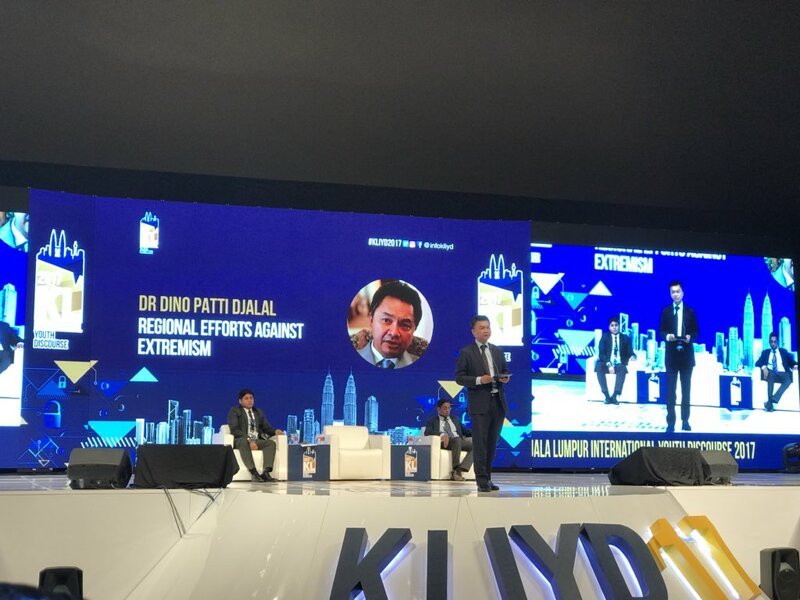 The KL International Youth Discourse (KLIYD) is a platform for our youth to discuss geo-political issues in the focus of security, sovereignty, the cultures and the role of religion. KLIYD believed in the importance of empowering our youths to engage in topics concerning our community and world. As much as our world today is engulfed in social media and a common media to speak out and express concern to our leaders, KLIYD was formed in the belief that the best form of expression and complaint is still one that is direct and face to face. Rather than anonymous, oftentimes hateful dialogue through comments on social media, KLIYD believes that Malaysians today are capable, and need a platform to showcase the ability to dialogue, discuss and debate in manners that maintain maturity. Dr. Shashi Jayakumar of Rajaratnam School of International Studies started first with "Is Extremism prevalent amongst our youth? It's implications to the region". He ended his sharing, "the more you know what is going on, the less you will tend to fall for it". Next up was Dino Patti Djalal, a career diplomat and ambassador, best-selling author an accomplished academic. His topic was "Regional Efforts Against Extremism". Prime Minister Najib Razak later came to officiate the discourse. It was surreal sitting in the same room where there was this hoard of cameramen and filming crews hoarding Malaysia's most important person just few metres from you. We had lunch! Didn't expect it tho, I was thinking of heading to the nearby Sunway Putra Mall and was super delighted to hear the emcee telling us that "...lunch is on your right". It was a spread of local dishes - Ayam masak rendang, ikan masak lemak, lamb, and mixed vegetable. There were desserts and fruits too! It certainly wasn't a budget catering, haha. 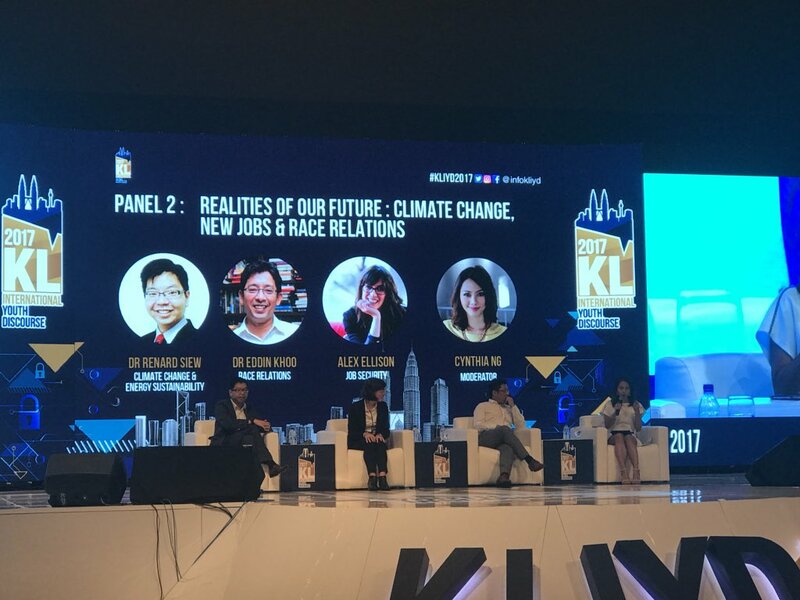 Second round of the panel saw 3 panelists, Dr Renard Siew on "Climate Change and Energy Sustainability", Alexandra Ellison on "Job Security" and finally Dr Eddin Khoo on "Race Relations". Now that I am blogging and searching about Dr Eddin and the rest of the speakers, who knew that this man who was standing telling the audience that he's a mix of Indian - Chinese parentage and about the importance of race and culture to the society; is the son of the prominent historian and nationalist Tan Sri Khoo Kay Kim, who helped to write the 'Rukun Negara' after the racial clashes May 13, 1969. Attending the talk didn't feel like a youth conference, what with talks about terrorism and national security, but it definitely opened my eyes to how small my day-to-day annoyances are - not having juice for breakfast, having to be under the sun while running errands, or having to walk under the rain with puddles everywhere.